Like many of his mates from the bush, Frank Ballantyne is keen to join the grand adventure and do his bit. Specially as a chest full of medals might impress the currently unimpressed parents of his childhood sweetheart. So Frank ups his age and volunteers with his horse Daisy…and his dad. In the deserts of Egypt and Palestine he experiences all the adventure he ever wanted, and a few things he wasn’t expecting. Heartbreak, love and the chance to make the most important choice of his life. From Gallipoli to the famous charge at Beersheba, through to the end of the war and its unforgettable aftermath, Frank’s story grows out of some key moments in Australia’s history. 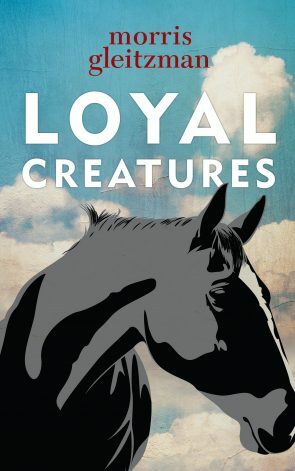 They were loyal creatures, the men and horses of the Australian Light Horse, but war doesn’t always pay heed to loyalty. This is the powerful story of a young man’s journey towards his own kind of bravery. Morris Gleitzman grew up in England and came to Australia when he was sixteen. After university he worked for ten years as a screenwriter. Then he had a wonderful experience. He wrote a novel for young people. Now, after 36 books, he’s one of Australia’s most popular children’s authors.